Lung cancer. 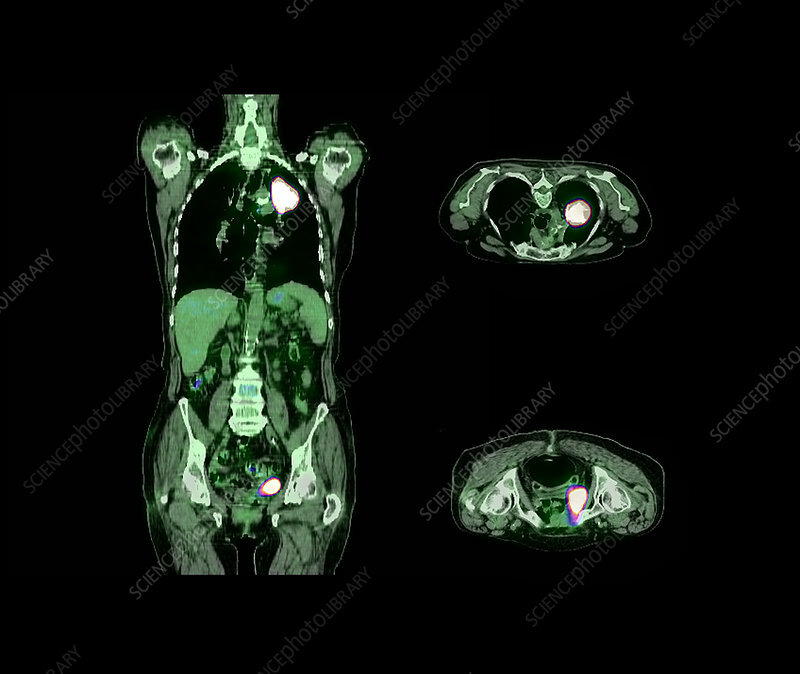 Coloured composite computer tomography (CT) and positron emission tomography (PET) scans of a 77 year old woman with a tumour (white) in the upper lobe of the left lung. There also appears to be another tumour in the lower abdomen. Horizontal sections through the body areas containing the tumours are at right. The main cause of lung cancer is cigarette smoking. Symptoms include chest pain, shortness of breath and a cough. Treatment is with a combination of chemotherapy and radiotherapy.